There is no greater accomplishment for a business owner to genuinely care for their Mexican-American culture, customer satisfaction and mission as an advocate for the Arts to remain alive in their local neighborhood. 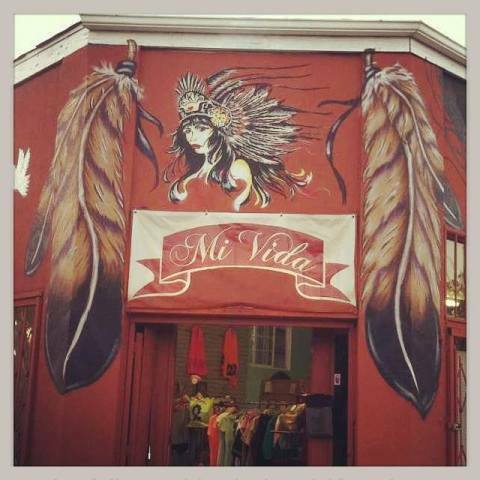 Our featured nomination for Women’s History Month is the ladies from Mi Vida Boutique in Highland Park, California. Mi Vida Boutique is located at 5159 York Blvd, Highland Park, California. This is a historical city for many Latinos since the late 1950’s; it was a canvas for artists, muralist and graffiti writers and still has its landmarks throughout the city aside to the devastating gentrification that has affected the Latino community. This is why Mi Vida is such an important part in the NELA (Northeast Los Angeles). It is still striving for uniqueness and keeping Chicano/a culture alive. Mi Vida has been operating since 2008, and one of its sole purposes is to help local, upcoming and established artists into exhibiting their works, sell their products as well as providing opportunities of networking and exposure. If you have not visited this shop you must! As you walk in, the lovely ladies treat you as if you are part of their family. I have been supporting anything these ladies envision for years now and they will forever have my loyalty and support. Some of the best fond memories with these ladies have been since they moved to the Highland Park location. The NELA Art Walk was barely rising; they were the last ones on the block of the art walk and not a lot of spectators around. But we all kept on showing up and kept supporting any ideas Las Primas (cousins) Noelle and Danell had. As the neighborhood began to change and more Latinos owners disappeared; Mi Vida stood their ground and kept supporting the Arts. 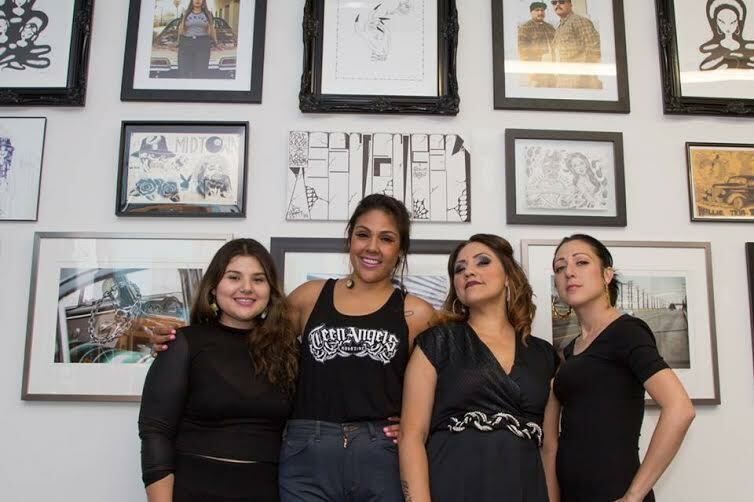 They have strengthen their image as advocates for the Chicano Culture as well as uplifting women of all kinds on sharing their art, poetry, fashion and vocals. Mi Vida began with a vision of owning a place where they can help artists grow creatively and financially; they gave birth to a place where artist communities can depend on. 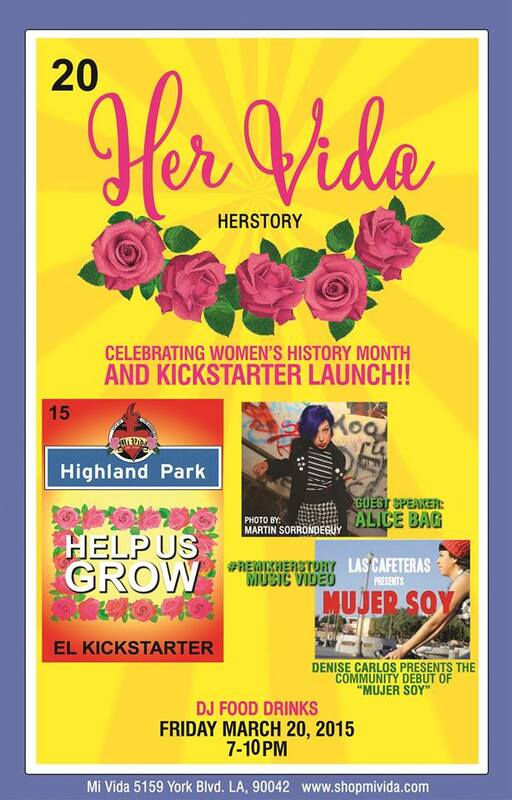 For over seven years, Mi Vida has made a huge impact in the city of Los Angeles; they have brought back traditions and values to women as well as the importance of keeping alive the Chicana experience. I remember one of the heart-warming shows they did on August10, 2013, the NELA Art Walk Kids Gallery. This specific event marked an important step into molding their image and taking in the responsibility of being a place open not only for artists, but mothers, fathers, siblings as well as children. At this point, we all knew Mi Vida was becoming more than just a boutique, it was a place for all of us as a community to gather and grow culturally and consciously. The women that run this place are strong, creative and have a passion for their culture. They show respect to everybody that comes into their establishment but most importantly; humble and willing to work hard with their community. These women are a leading example that with hard work and dedication you can become an establishment artists and community members trust and are proud to look up. A venue for many of us to enjoy art shows and any other creative forms of representation of the Chicano/a Culture and traditions; keeping it vivid for more generations to come. PLEASE COME AND BE PART OF HERSTORY FOR THESE LADIES!